Periconi, LLC, from law offices on Madison Avenue in New York, helps businesses assess and reduce environmental risk when acquiring and developing real estate. The boutique environmental law firm has earned a strong reputation for assistance in environmental due diligence in real estate transactions. Attorneys advise on environmental regulatory compliance and handle litigation in all five boroughs of New York City and beyond. The firm's practice areas include brownfields development, enforcement action defense, environmental permits and regulatory compliance. The firm is knowledgeable and experienced in environmental claims against insurance carriers; oil spills; storm water discharge; State Environmental Quality Review Act (SEQRA) reviews; lead paint matters and countless other environment law issues. Many cases involve interactions with state and federal governmental regulations and agencies; in other cases, the firm represents corporate clients initiating environmental investigations of other corporate entities. 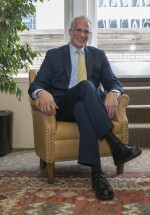 James Periconi served as Chief of the Solid and Hazardous Waste Enforcement Bureau of the New York State Department of Environmental Conservation. He was Assistant Attorney General in the Environmental Protection Bureau of the New York State Department of Law. He has twice been appointed a federal court Special Master in Clean Water Act cases. He frequently acts as an expert witness in environmental law in federal and state actions. Jose Almanzar is a former environmental scientist with a national environmental consulting company. He counsels clients on commercial real estate transactions. His practice focuses on environmental regulatory matters and environmental litigation. Lawyers at Periconi, LLC, frequently deliver a continuing legal education seminar with the title "Environmental Due Diligence in Commercial Real Estate Transactions." Law firms and individual attorneys are welcome to inquire about this offering or any environment law matter.